I finally got my hands on this judgment thanks to Aejaz_Legal, a reader who posted this judgment as a comment. “It is a fundamental principle of law that any penal provision has no retrospective operation but only prospective. There is no allegation either in the report or in the statement or in the complaint on the 1st Respondent with regards to the acts of domestic violence that took place on or after 26-10-2006.Therefore continuation of proceedings against the petitioners is nothing but abuse of process of court”. There is a citation that says even if the allegations are prior to 26-10-2006 and the petitioner and the respondent(s) are not staying together, if the respondent has not been paying maintenance to the petitioner and/or her belongings are retained with the respondent, then it amounts to economic abuse adn if the status is continuing till the time of filing the case ti is continuous cruelty and hence can come into limits of DVA. You know what 498(A) stands for? CRIMINAL PETITION N0.3714 OF 2007. 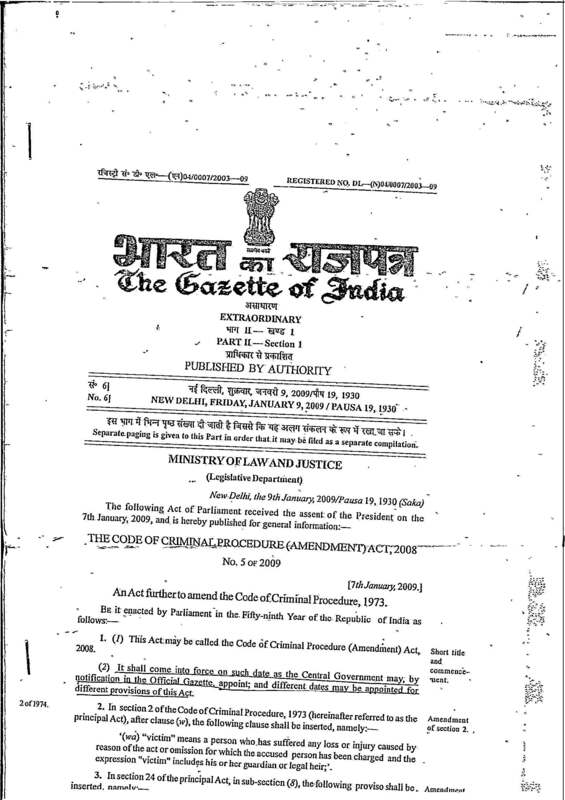 No.1 of 2007 on the file of the Judicial Magistrate of I Class, Yemrniganur, Kurnool District. On the face of the allegations in the complaint, the de facto complainant is not residing with the petitioners. Central Government appoints 26-10-2006 as the date on which the Act was came into force. For acts of violence, certain penal provisions are incorporated. the Judicial Magistrate of I Class, Yemrniganur, Kurnool District. So what if the brother of the woman subjects her to cruelty? Why is the law only hinting at the husband and his relatives?